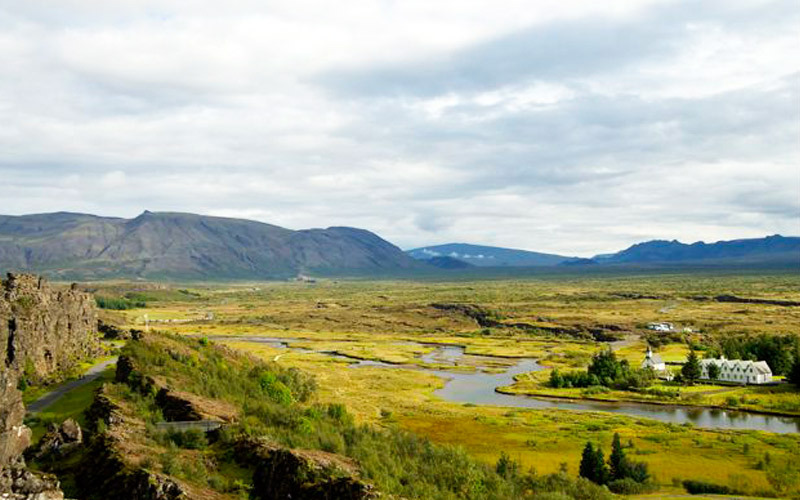 Your private Golden Circle tour starts in Reykjavik where we pick you up at your accommodation, and from there we head off to see Iceland’s three crowned jewels. Thingvellir National park where the Viking settlers established a parliament and the Tectonic plates divide at the rift valley. 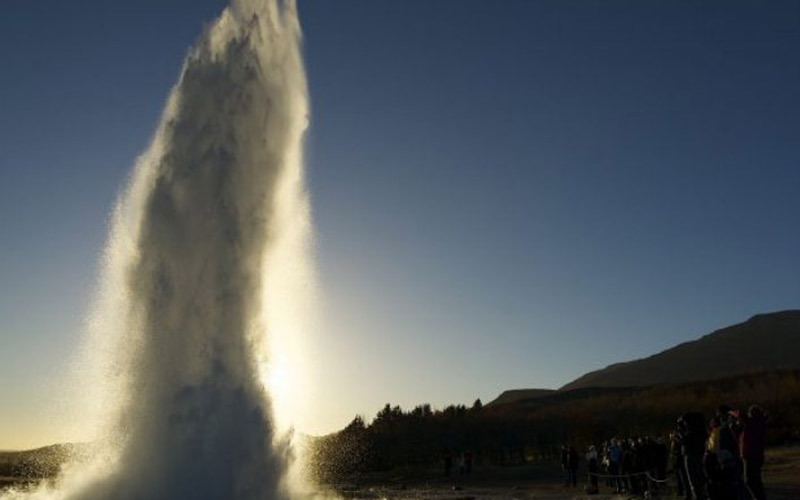 The geyser Strokkur that erupts every 5-10 minutes. The mighty waterfall Gullfoss where glacial water cascades about 200 ft into the dramatic canyon. We also visit the waterfall Faxi with clear water. There are many choices for stops along the way to photograph the wonders of nature and, there are also many choices for lunch. Duration is around 8-9 hours. 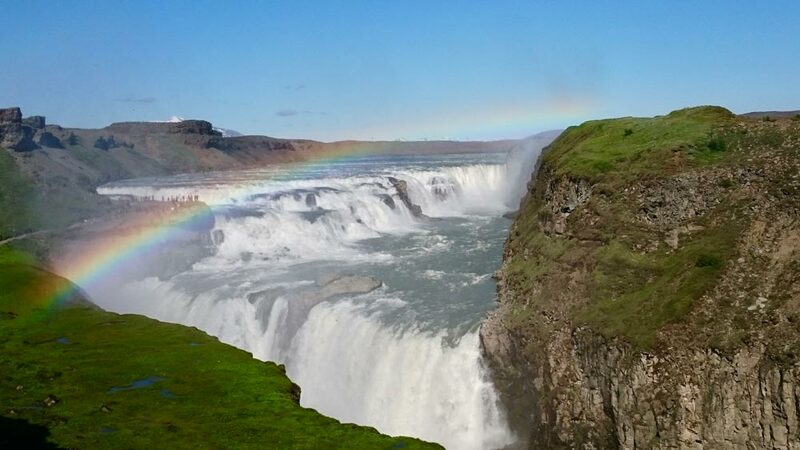 No trip to Iceland, whether a weekend break or a longer, would be complete without seeing Iceland’s three crowned jewels, Geysir, Gullfoss, and Thingvellir known as The Golden Circle. A pilgrimage to these fantastic sites will leave you yearning to see more of Iceland. Because of their proximity to Reykjavik, all three locations and more, you can experience in one exciting tour! 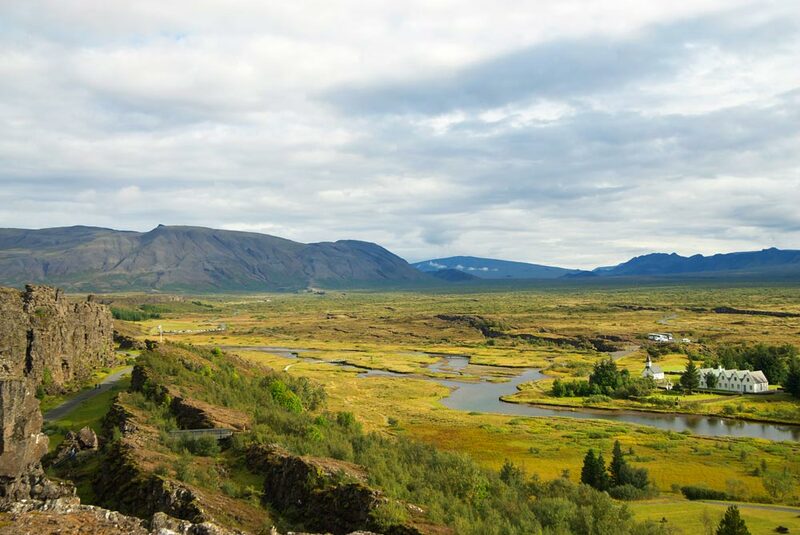 We begin in Reykjavik and head east through rolling valleys dotted with farms and unusual geological formations which hint at what incomparable wonders you are about to encounter. THE NATIONAL PARK THINGVELLIR AND PLATES TECTONIC. Thingvellir (Parliament Plains) is a UNESCO World Heritage site and the home of the world’s first parliament established in 930 AD. Located on the shores of Iceland’s largest lake, Thingvallavatn, Thingvellir is a sacred place to Icelanders and geologists! Not only does this breathtaking area have historical significance, geologically it has merit as this is where you can see the North American and Eurasian tectonic plates converge. An Icelandic proverb states “Fertile is water that runs under lava.” Thingvallavatn is known for its 150 species of aquatic plants and three of the five freshwater species of fish found in Iceland. THE WORLD FAMOUS GEYSIR AND GULLFOSS. 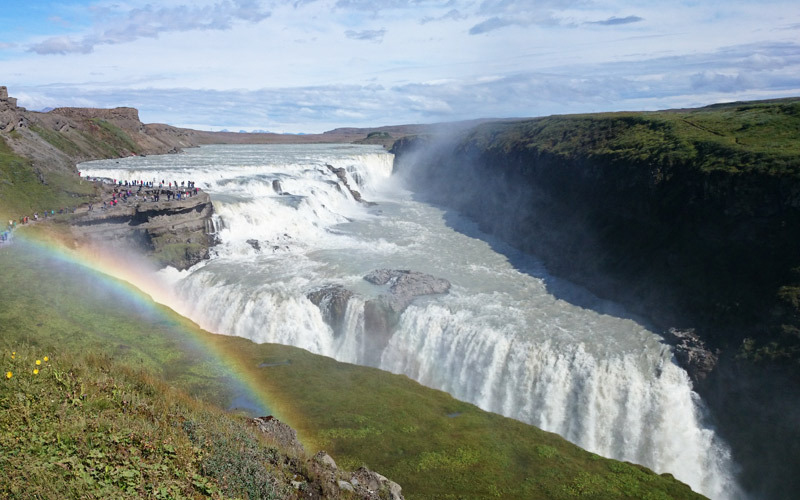 As you approach Gullfoss, or Golden Falls, the grand dame of all Icelandic waterfalls, you can only hear her roar. The waters of this massive tiered waterfall on the Hvita (White River) originate at Langjokull glacier. A visit to this waterfall will leave you completely energized. It is hard to imagine that foreign investors wished to make a hydroelectric power plant that would have destroyed Gullfoss. One woman, Sigridur Tomasdottir walked barefoot from Gullfoss to Reykjavik (on unpaved roads) in protest and saved the falls. You can thank Sigridur at the monument in her honour at the top of the falls. 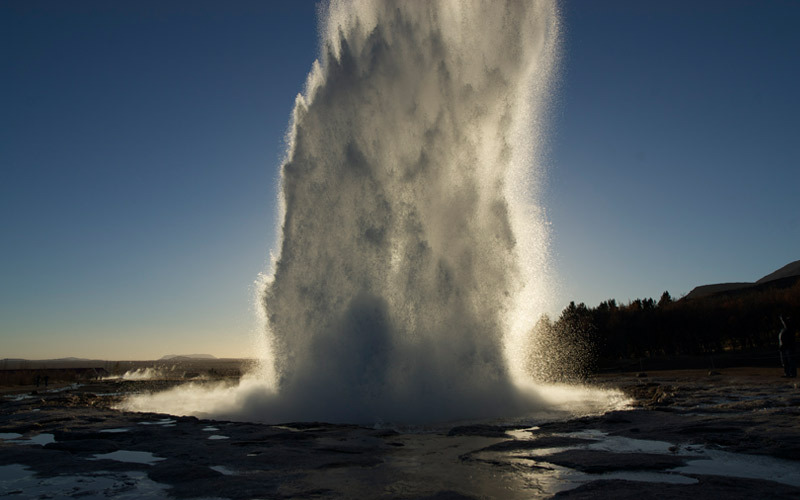 Geysir is home to the geyser named Geysir that lends its name to geysers all over the world. 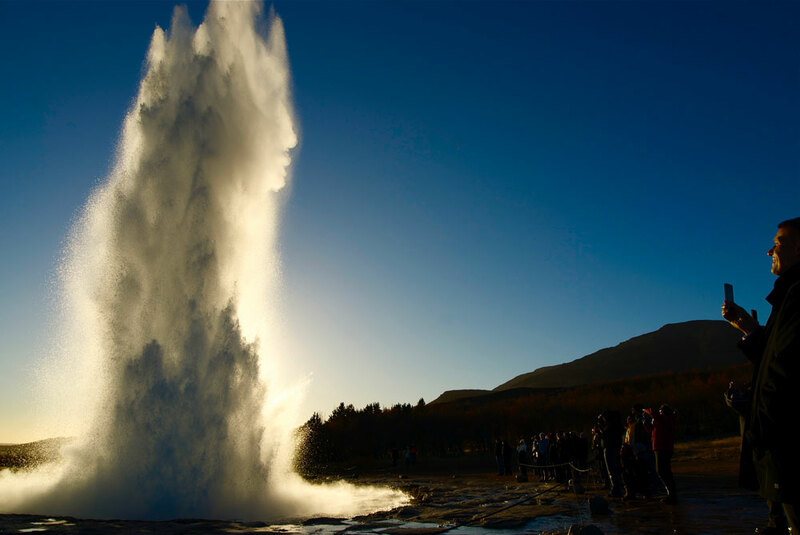 Although Geysir itself has been quiet for many years, its neighbour, Strokkur is very active and consistently spouts off every 5 -7 minutes. Follow the path through a very active geothermal field filled with steaming fumaroles and bubbling mud pots and try your best not to scream when the geyser spouts! Heading back to Reykjavik feeling very small, you will visit the beautiful waterfall Faxi on the way. Golden Circle day tour. Pick up is any time you want. Duration for approximately eight hours. Small groups only. Available all year round all days. Please contact Thorstein tgk@saltytours.is for more information.